When I was a child, it was hard to almost impossible for parents to choose what type of content their children were being exposed to on TV. 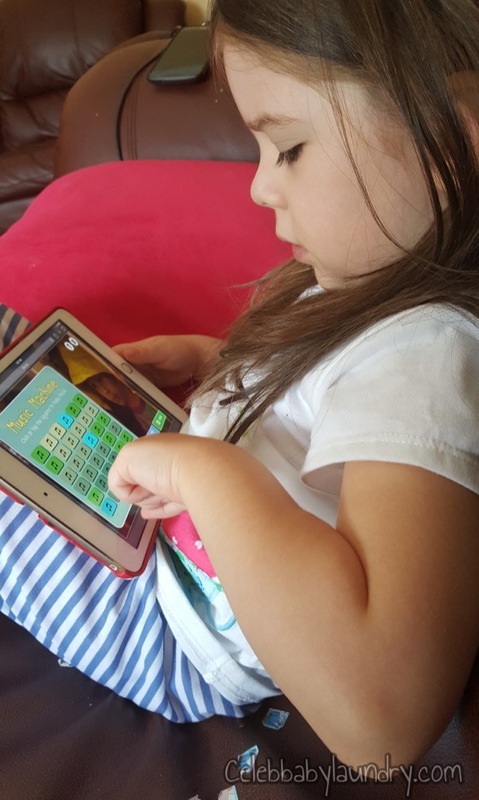 The creation of new technology like tablets not only revolutionized how parents can limit viewing time of shows, but the type of programming their children are exposed to. Don’t get me wrong, passive shows aimed at children still exist, but more so than ever parents can promote shows that stimulate their child’s brain. 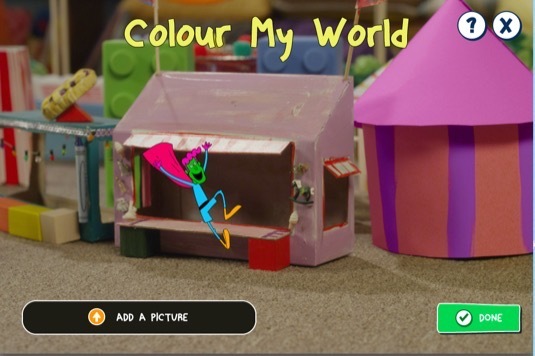 These children shows teach early learning themes to children and try to get children to interact with the content their viewing. In our house, we trust Kids CBC when it comes to providing child-friendly educational TV programming. 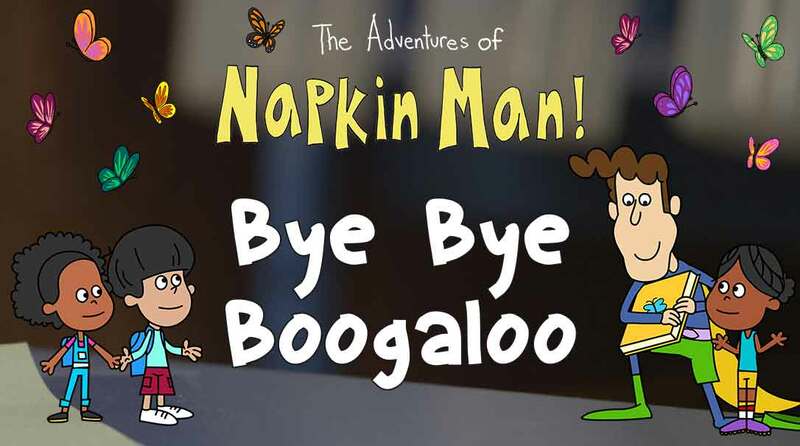 One show that has become a stable in our house is The Adventures of Napkin Man, a show that teaches children about emotions to prepare them for future social interactions and relationships. In the show, preschool teacher Mister Anthony, draws a superhero named Napkin Man for his students when their faced with difficult emotion. 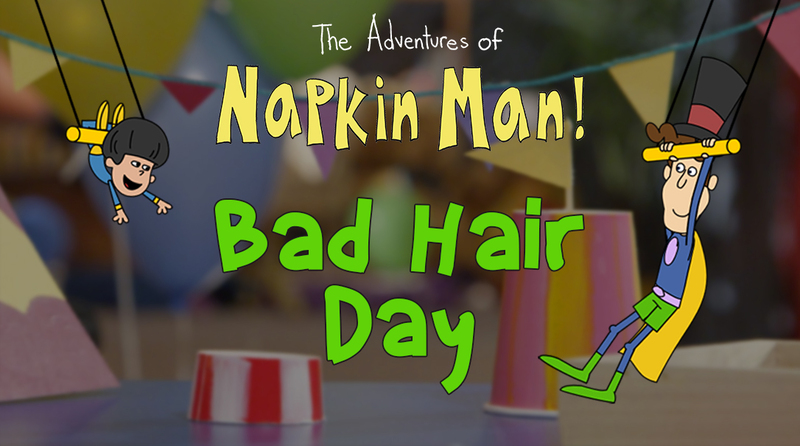 Once drawn, Napkin Man jumps in an animated world and sings his signature song (which is a favorite of my daughter). Through fun story-telling he helps children better understand new emotions and how to properly deal with them. Recognizing and being sympathetic of the emotions of others also plays a key role in the show. Kids CBC recently gave the show an online home that contains enhanced interactive episodes based on shows from Season 2 of the series. Like the television series, the episodes are designed to extend the series’ social-emotional curriculum and further help kids identify and manage their feelings. Ahmet doesn’t want to join the tightrope activity because he is embarrassed about his new haircut. Meanwhile, Napkin Man’s friend, Alessandro the Acrobat is embarrassed about his glasses and doesn’t want to wear them… when he’s catching Napkin Man high in the air! May-Ling’s stomach is upset today and her mom has to take her home. Amelia’s stomach isn’t upset, but she feels sad because May-Ling isn’t feeling well. Mr. Anthony tells Amelia a Napkin Man story about what it means to feel Empathy for your friends. Liam wants to play with a game with the other children, but they are already paired up and he feels left out of all the fun. Mr. Anthony tells Liam a story of when Napkin Man visits Super Fun Land and all the other superheroes are paired up playing games. 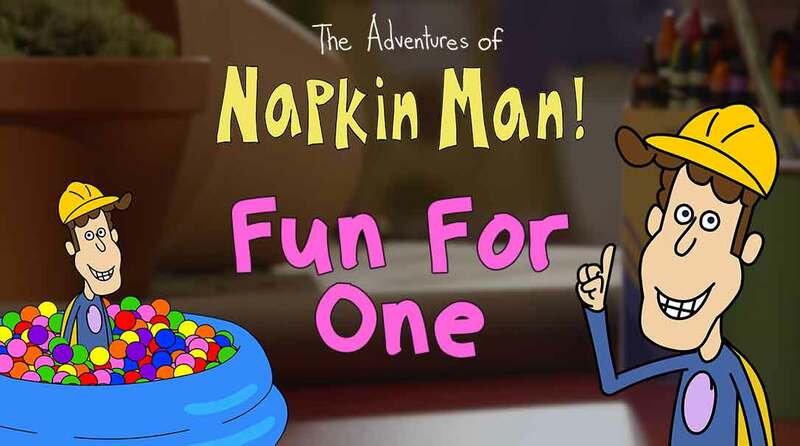 Napkin Man finds a way to have Fun for One! The class hamster, Boogaloo has passed away and Ahmet, Chloe and Zahara feel sad, lonely and angry. 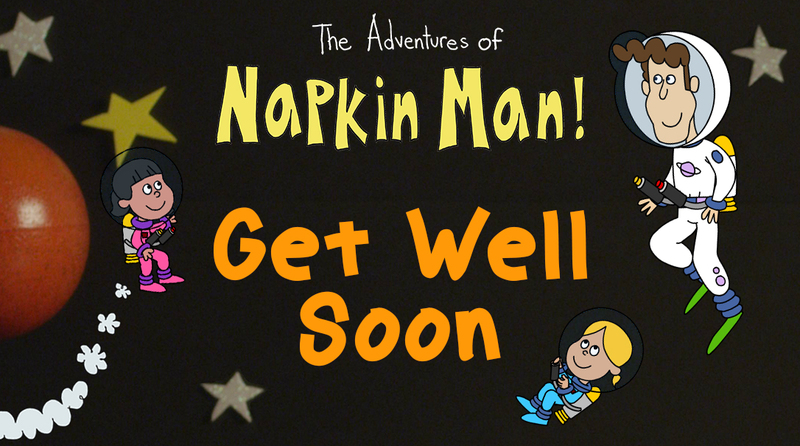 Napkin Man and the Butterfly Brigade tell us all the things we can do when someone we love passes away. 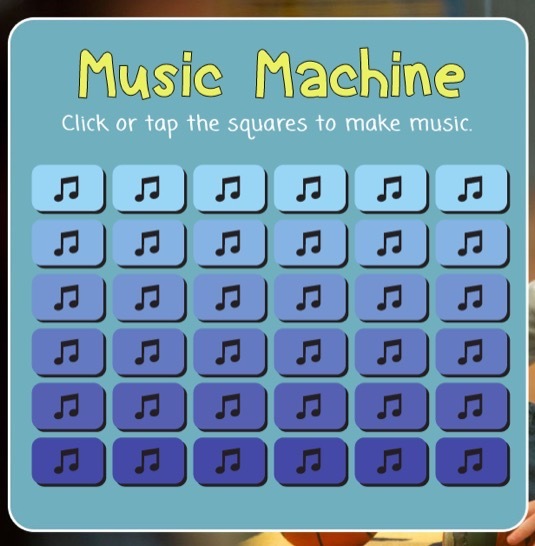 An immersive music creation toy that gives preschoolers the opportunity to experiment with the way music and emotion can influence each other. 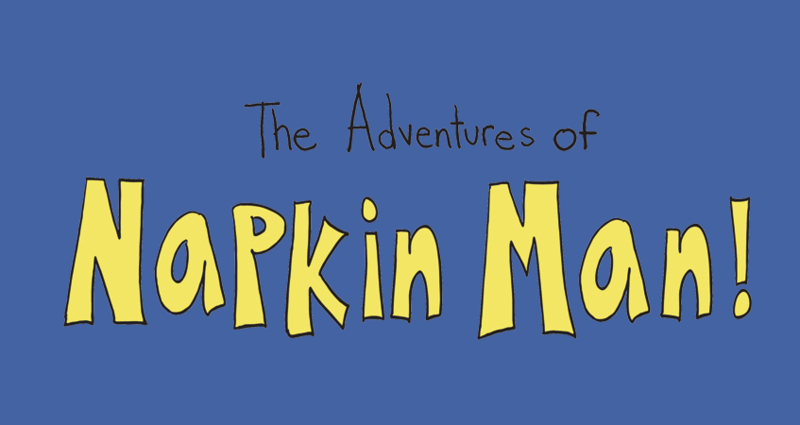 A re-useable digital coloring book that provides players with the characters, environments and props seen in Napkin Man’s animated world – along with the interactive tools – to create their own stories that can both reflect and extend the emotional messaging seen in the episode. 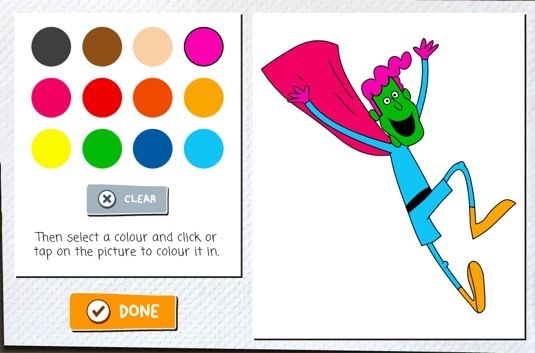 As you can see from the images, my daughter enjoyed colouring Napkin Man with her favorite colors. What would a superhero be without a pink cape? 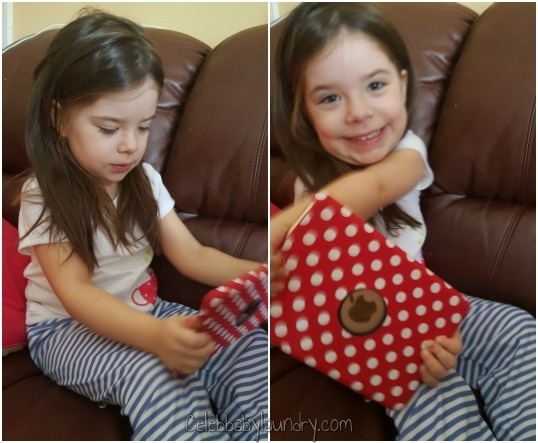 The whole process is very simple and she had fun adding Napkin Man to the scene she just watched. 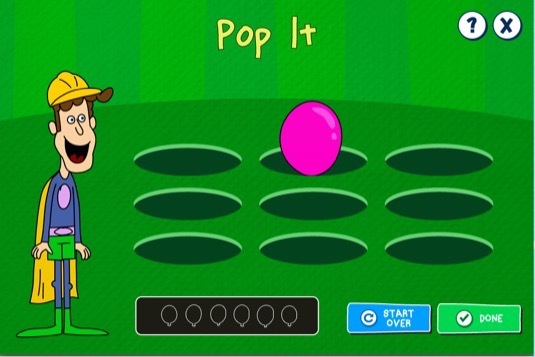 Designed to be fun, mini-game style activities, these challenges help preschoolers identify the emotional cues of characters in the story while also reinforcing the coping strategies that are introduced each episode. In celebration of the new interactive episodes of the adventures of Napkin Man, Celeb Baby Laundry is giving away (1) $100 Visa gift card to one lucky reader! Readers may enter across many blogs, but may only win from one participating blog. Entrants must be residents of Canada, including Quebec.